As they say, when it rains, it pours. It’s bad enough that you have to deal with a cheating spouse, you also have to put up and deal with his attempts to hide assets and money. Pretty frustrating, isn’t it? But what is more frustrating is that often times, the other spouse knows about it. It doesn’t take a genius to figure out inconsistencies made by your spouse and more often than not, a gut feeling is something to be worried about. Sadly, the aggrieved spouse, due to lack of actual proof, does not act on it until it’s too late. If you are suspicious about your spouse, should you hire a Dallas Private Investigator? First and foremost, if you are considering a private investigator, you should do your research. A state-issued license is required by some State to ensure that professional standards are being complied by the company and investigators, but then again, there are States that do not require this so if you choose to hire a Private Investigator, it is only wise to research the company and choose a reputable person or firm that will fit your needs. In the subject of divorce, there are 3 main reasons why a Private Investigator may be helpful and beneficial. When it comes to finding evidence of hidden assets, no doubt, Private Investigators are a big help! They have access to various databases which can provide proof of hidden money. They also have means and resources to follow anyone for an extended period of time. You’ll be amazed how these methods can turn up private bank accounts, hidden storage facilities, even aliases and identities used to hide funds from his or her spouse. 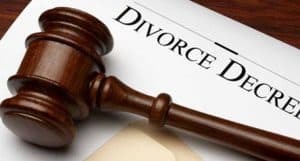 While in some States, infidelity is reason enough to be grounds for divorce but for some States who practice a no-fault divorce, evidence of infidelity just doesn’t matter and cannot be used as a reason to sanction the other party in a divorce by asking additional support or alimony. However, there are certain instances that evidence of infidelity may be useful such when the couple signed a prenuptial agreement that called for financial consequences if proven guilty of adultery. You just might find a Private Investigator very useful when proving that a child’s other parent is unfit. A Dallas Private Investigator can take videos or find evidence of wrong doings such as drug abuse, driving under the influence or other dangerous behaviors that will definitely affect the parenting time.